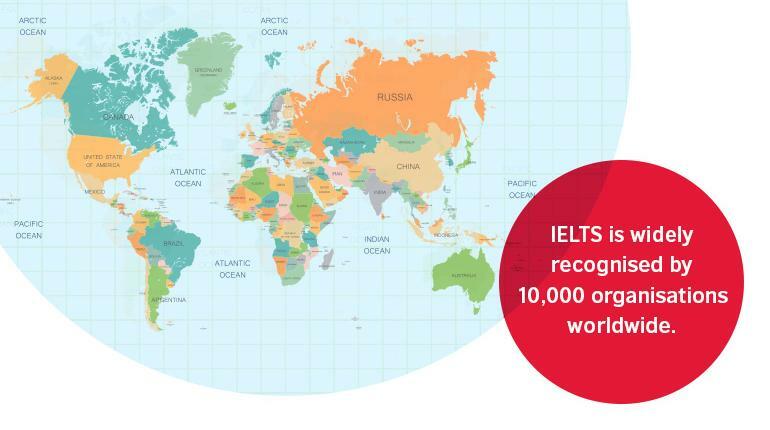 The number of organisations accepting IELTS (International English Language Testing System) results has reached 10,000, cementing the test’s position as the world’s leading English language test for education and global migration purposes. Global recognition is one of the reasons why the number of people taking IELTS continues to grow, with 2.9 million tests taken in 2016. The growth in recognising organisations – which include universities, schools, employers, immigration authorities and professional bodies – is an indication of how these bodies trust and value IELTS results as a secure, valid and reliable indication of a test taker’s English language proficiency. IELTS is jointly owned by the British Council, IDP: IELTS Australia and Cambridge English Language Assessment.